I should have put the copyright symbol behind it! Second. This is my second! My son did his college thesis on copy righting and music. He interviewed area music ministers and found that they all broke the copy right laws. Some things are lawful but not expedient. No wait, on this issue not lawful either. Don’t you mean expedient but not lawful? I know, right? I always look for it first thing too. Now it’s time to get back to work on my thesis that I cannot tell you about. Or where I am going to school. Actually, I’ve already said too much. Will you at least be able to tell us when we should address you as Dr Scorpio? I assume we won’t be able to verify any of the details. Thankfully, I’ve never come across photocopied Sunday School curriculum. Using leftover unused lesson activity papers from a decade ago, sure. Like Kent Hovind, he was immune to everything, until he went to prison. Dr. Dino let everyone know at the end of his tapes that he encouraged copying and distributing his materials. He even said you could charge money or “accept donations” for the “service” of distributing his materials. I appreciate that he allows that for his own materials, but most of the people who watched his videos probably already had that mentality for ALL materials. I was thinking more of zoning, taxes, and building codes. That was cool that he was a open sharer of his product. Ahead of his time in a money grubbing world. Tax exemption is a license to steal? If I ever wanted sheet music from someone (for offertory or specials), up on the copy machine it would go. It is now common practice to copy band music for school use. The difference is – the copies are made from a previously purchased complete set. Reason for copying is, well, students tend to “lose” their music and constantly purchasing replacement sets is prohibitive. But I have seen unscrupulous choir teachers making multiple copies from their freebie sample packs from the conference. NOT cool. Read the copyright terms on the sheet music. Some of them say you can make copies provided you have purchased a certain number of copies. Others don’t allow any copying. It’s up to the copyright owner. For school music organizations, educational fair use permitted copying parts to use in place of the legit copy, which remained safely in storage. I don’t think DMCA and its ilk changed that much. As long as each performer (or stand, perhaps) could be corresponded with a legit part, you’d have a good case. Bahahahahahaha I love the Commandments, Dar – El! And When thy teens use the interweb to download music of the world. Thou shalt verily chastise them soundly for stealing. But, verily, if thy boy child or girl child wisheth to download poorly-sung gospel songs from the Tube of You for use in some church thing, thou shalt commend them soundly for their immense spirituality. Speaking of legalities, our former mog loved to speed. Speed, speed, speed! He preached that everyone else should obey the law, but he could break it. He got caught lots too, but refused to pay the fines and would work them off on fine option. Except he never did that either and got others of his cronies to sign formal documents stating he did work the hours to pay off the fine. I questioned him on that also and his explanation was he was so busy with mog duties he did not have time for that, but “it would all work out in the end”. And it did, the church split, his beloved bible college folded and they moved away to Manitoba somewhere and the people who followed him (not us) slowly dispersed into the landscape. Was this something he made public? The way you made it sound, it’s like he bragged about his corruption from the pulpit. I’ve got a very uneasy feeling in my stomach from reading that. The good news is: both times I did, I had written permission from the publisher to do so. In one case it was so I could make “jumbo” copies for a mostly blind woman. In the other case I had too many people than I had materials, so I called and ordered more, then asked if I could use photocopies until the package arrived. Both times, the folks in charge of publication and copyrighting were very accommodating, and even grateful to me that I would even ask. Similar for the rights to show certain Christian mov…er…films in a public setting, like church. Facing the Giants had such a requirement, as do the movies following it. When I insisted several years ago that the church do the right thing and purchase the DVD that was authorized for public showing the pastor begrudgingly ordered it. He grumbled about the ministry issue and stewardship, etc. I’ve been away for 4 years now, and they have shown a couple of the other Kendrick Bros’ movies. I doubt they purchased approved DVDs and paid the appropriate copyright fees since I wasn’t there to hold their feet to the fire. I admit to having photocpoeid my share of music in years gone by and used the same lame excuses. Until I myself began to write songs that other Christians wanted to record on their own albums. Fool that I was, I mistook a request to record my songs as an agreement to pay me my $.085 per song per unit. The only one that ever paid me royalties was my own band, and we paid everybody including Disney and Gaither. Before anyone replies about copyright protection through ASCAP, BMI or Harry Fox, these were not big recordings and what we had was a “gentlemen’s agreement.” Nobody was going to make any real money. But even a check for $10 would have been welcome at that time of my life. It’s about doing the right thing and not using “it’s for the ministry” as an excuse to be a tightwad at best and a thief at worst. You could call the software piracy hotline on any fundie church and guarantee they have copied illegal software. Oh wait, as I was told, were not copying it, were using it for the Lord’s work. I was told I needed to just trust God for his protection. DanCDow -> he never announced it from the pulpit, but he talked about it regularly and was very casual about it. He did preach about speeding from the pulpit, but anyone who rode with him knew he never obeyed the law. I knew about peeps signing off on it cause my dad was a deacon and he wanted him to sign the papers stating he worked his hours. Dad refused to and that put him and us in “the bad books”. That and many other things were the “beginning of the end” for us at that place. 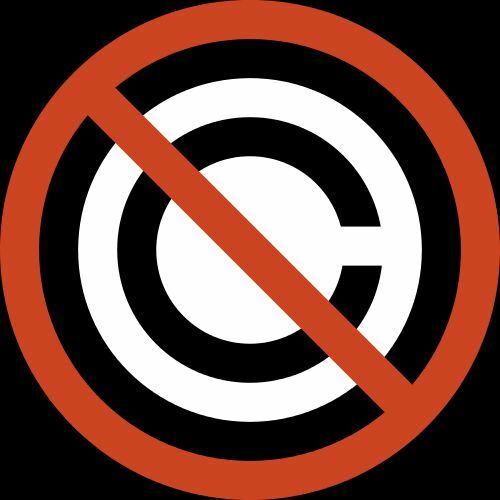 A lot of people who even do know a bit about copyright want to make every educational use fair use, when there are specific guidelines about what would be fair use (and even then, there’s no actual rules about fair use – you can only follow the guidelines which should keep you from being taken to court – but the only actual way for a particular instance to be determined to be fair use – is if you get taken to court! Thus sometimes what might be fair use gets avoided just in case. But people who have heard only a bit think “Oh it’s educational, it’s automatically fair use no matter what” which is just not true. I’ve seen people rant and rave about how if it’s online it is ok to take and use without attribution (it’s not; any intellectual property is the property of its creator with or without a specific “copyright” warning) and then go ballistic if called out on their theft. But oh heck no, don’t you dare share their crappy Youtube video and make fun of their stupidity because THAT is a copyright violation. Morons. exactly: linking to a thing IS perfectly legal; copying and using elsewise is illegal. Our church worked hard to observe copyright laws for all copies and images used, but the VBS director figured it was ok to copy the music cds since he wasn’t selling them. 🙄 CCLI now has a special license you can buy to make practice copies. When I became VBS director at my church, I was going to purchase the music CD’s for the kids until I was told we had permission to make copies. Stealing is stealing . I was told to photocopy scripts for drama productions and not pay royalties when I directed drama at Christian school. Many publishing companies keep a very careful watch on media, etc…to track down people using scripts without paying up. So I would not do it. Usually, the kids ended up paying for their own scripts and my parents paid the royalties. Our IFB pastor of a mega-church had nothing but scorn for “liberal” Southern Baptists; said they endorsed social drinking, dancing and women wearing pants. When we finally tired of the cult and went over to the SBC dark side, I joined the choir, and the director said he would have to order me the music for the Christmas program they were rehearsing. I could not believe he wasn’t simply going to run off a copy. The integrity was such a refreshing change. How hypocritical, to sing praises to God with stolen words! I haven’t met a Southern Baptist yet who approved of social drinking. There may be a few, but not so’s you’d notice. Most of our friends in our senior adult class drink in moderation. For me, that’s a glass of wine or two with dinner. And we once had an enlightened young pastor (at least on that subject) who said you can’t make a biblical case for tee-totalling. However, no one orders alcohol when we go out as a class, out of respect for the few (sigh) who would take offense. I think it depends on where you are and the background of the people. I live in Arizona. The ones who are okay with social drinking: people from California; people who came to the Southern Baptist denomination as an adult from other denominations like Lutherans and Catholics who were okay with it; and others who didn’t have any strong background against it and had studied the issue. People against social drinking: “cradle Baptists” from the Deep South and from rural churches out here; ones who came to the Southern Baptist denomination from Conservative and Fundamentalist Baptist churches. Pretty accurate observation; for most of my SBC non abstaining friends came from more liberal denominations. However, I was a cradle independent fundamentalist before becoming SBC, and also live in the deep south. Maybe I should explain. I didn’t go straight to the bottle when we left the IBC church. It took a while to shed the legalism. And actually, I find myself chaffing more and more at SBC beliefs, such as an everlasting hell, and the divine inspiration of every bit of scripture, including the one in Psalm about the joy of killing the enemy’s babies. What keeps me here? Friends and inertia, I guess. And thou shalt not feel obligated to pay for a group license to publically show Fireproof or any other suitable movie for thy congregation or youth group’s enjoyment. But while thou doest show this movie, thou shalt not forget to give thy congregation a disclaimer regarding the Bible perversions quoted in the film and the ungodly contemporary Christian music used in the soundtrack….lest they fall into temptation. Thou shalt accept the producers of said movie as only a “weaker brother.” Selah. Verily, in extreme cases of High Spirituality and to support thy local temple, thou shalt take a special offering to cover the costs of obtaining “Fireproof” while denying the film maker’s right to charge you that public license fee, for thou art exempt (covering taxes, fees, licenses, zoning and any other category thou shalt discover wherein the evil rich people are trying to exploit the people of God). OMG! Excellent catch, sir! George clearly has the wrong things on his mind! I have that in the U.S. the fundies are the “only” ones that don’t honor copyrights, everyone to a man does! I agree! You find this many places. However, Jesus warned us, “For in the same way you judge others, you will be judged, and with the measure you use, it will be measured to you” (Mt. 7:2). When fundamentalists have been known to find sin in wire-rim glasses or gelled hair, it’s valid to question them as to why they don’t have a similar sensitivity to things like actual copyright laws. I used to regularly run across leaders in my old fundamental church who would borrow music, make copies, and be very open about doing it. They would also borrow a music CD and make copies of it and be pretty blatant about it. When I was pretty young, I was a member of a very ethical church that I don’t think every violated copyright law (I know some members did, but the church leaders did not and made an effort to be legal; the choir leaders received permission to make copies, sometimes paying for the privilege). Anyway, because of that church’s influence, I tend to be appalled at leaders who think nothing of stealing another person’s work. The whole Micro$oft office issue wouldn’t be an issue if people would be aware of other options. We use software that is lisenced under the General Public Lisence (gpl) when possible. That way we can freely install on as many computers that we have or need it on. Libreoffice works well!